The single most powerful thing Catholic parents can do for their children is teach them to pray. As catechists, we can also teach children how to have a close relationship with God. There are a variety of ways to teach your students to pray. No matter what age your learners are, it’s never too late. Start with a simple prayer like the Our Father and focus on just that one prayer for a couple of weeks. This prayer specifically teaches us how to show respect, request our daily needs, and ask for forgiveness and protection. Teach children how to be still and recognize God’s answers to their prayers. This involves follow-up. If a child prays for something, make sure you talk about whether or not she gets what she prayed for. If she does, teach her to say a prayer of thanks. If she doesn’t, talk about how that can be an answer to her prayer, too. In it, your students can write down their favorite prayers, draw pictures of themselves talking to God, or illustrate the gifts God has given them for which they are thankful. Teach children to pray not only for what they want God to do for them, but what God wants them to do. This mentality will stay with them through life as they pray for guidance during tough times and when making big decisions. 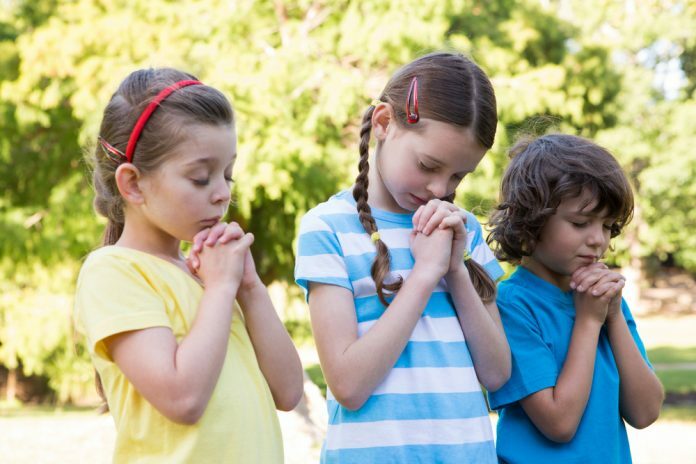 This approach to prayer may help your students become comfortable with praying. It includes five steps: give praise, give thanks, make a request for another person, ask for forgiveness, and make a request for yourself. 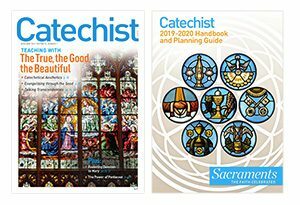 Keep a variety of Catholic books in the classroom and read them together, or just allow your students to explore the books on their own. Be sure to incorporate the Sign of the Cross into each prayer you say together, and take the time to teach it correctly. 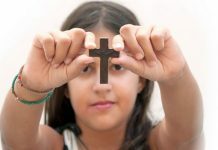 Father Michael Schmitz, chaplain for the University of Minnesota-Duluth Catholic Campus Ministry, says the Sign of the Cross is vital even for young children. He has observed that when many Catholics die, the last gesture they make is to cross themselves. Their very last act on earth is to make a Sign of the Cross, because, according to Father Mike, it has been such a part of their lives as far back as they can remember, beginning with their parents. Dees believes it is important to teach the Rosary even to very young children. It may not be possible to pray the entire Rosary in class, but even just a decade can help your students make praying the Rosary a habit. Let your children compose the words to a daily prayer you can say together. This will help them to see that prayers can be in traditional forms (The Lord’s Prayer) or in one’s own words. Let your students know that, even when a dream or a goal seems impossible to reach, with God it isn’t. Tell your children stories about miracles that have occurred–even in today’s world–because of prayer. Sister Regina says that discussing the saints with your students and reading stories about them can help your children desire a closeness with God, while learning about the power of prayer through real-life examples of remarkable lives. Prayer is a daily part of our lives and should be for our students, as well. Dees’ last piece of advice is, “Don’t get stuck in the basics. We tend to sell kids short on how capable they are of praying.” Once you know which methods of prayer will work best with your students and for your class as a unit, stick with them. Nancy Flanders is a part-time writer and full-time mom to three little girls, one with cystic fibrosis. Nancy is currently the social media manager and contributing editor for Parenting Squad. You can view her personal blog at ChronicAdmissions.com. 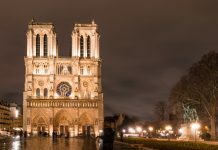 This article was adapted and was reprinted from Catholic Digest.